Buy online our clothing and fashion fabric Lanage 000805. Chanel style fabric in shades of pink, cotton blend, suitable for jackets, skirts, mini dresses and suits. 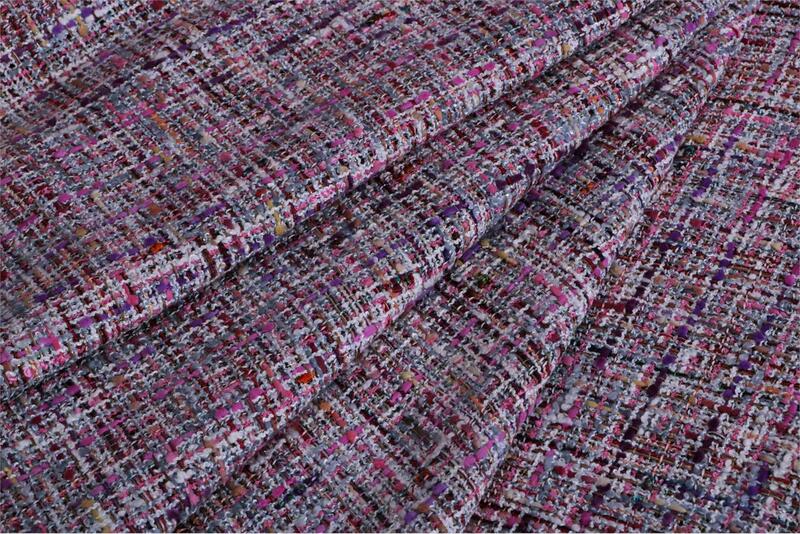 Pink Mixed Weaves Bouclé/Weave fabric for Dress, Jacket, Skirt.